Most of us in Arizona suffer from allergies. Here are some helpful tips to relax and enjoy your summer. Carpets are a common trap for an array of allergens like dust, pollen, and pet dander. If possible, replace carpets with tile or wood flooring. If that’s not an option, frequent vacuuming can help remove allergens. Use a vacuum with a microfilter vacuum bag, multilayer vacuum bag, or HEPA filter if possible. These variants trap more allergens than a regular vacuum. Fabrics like blankets and pillow covers are a haven for hidden allergens, so be sure to wash your bedding frequently. Hypoallergenic bedding is also available. Organic cotton and bamboo are two cost-effective options for sheets and pillow covers that can reduce the amount of spores, mites, and dander in your bedding. Dust and pollen tend to settle on top of bookshelves, cabinets, and end tables. Frequent dusting will help cut down on these allergens. Replace the filters and clean the grates in your cooling and heating systems monthly to help minimize the amount of dust and pollen settling in your home. 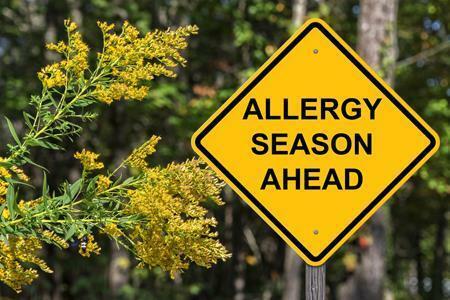 As always, if we can be a resource to you for allergies, buying or selling feel free to contact us! If you are thinking about updating your home this summer? Discover ways you can protect your family and save time and money with smart devices. You’ll also find tips for clearing allergens out of your home and advice to help you pack your home for a stress-free move. If you’re still looking for your dream home, give me a call. I’ll help you find a home you’ll love! Smart homes are now more accessible and powerful than ever before. You can run anything from a doorbell to a slow cooker with your phone. Surprisingly, this can do more than just save you time; it can save you money on your home insurance. 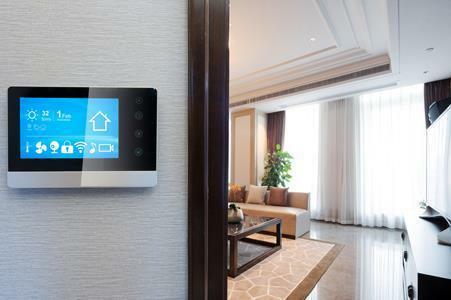 These days, it’s not uncommon for insurance companies to offer discounts or premium reductions to homeowners who implement smart home devices. Some of the most common discounts go to those implementing technology that improves the safety, security, or energy management of your home. Smart home devices can ensure your house and belongings are protected even when you’re not there. Systems and devices that monitor for burglary, flooding, carbon monoxide, or fire can limit the short and long-term risk to your house. Some insurance policies will take these smart monitoring systems into account and offer you a discount for the reduced risk. Homes with security systems in place are three times less likely to be burglarized, and many home insurance companies will offer premium credits, some up to 15 percent off your insurance rate, to those who take active steps to protect their home. Smart energy-management technology can save you money in a couple different ways. First, you can lower your energy bill by remotely controlling your thermostats and lights. Second, you can use energy-management technology to provide backup power for appliances and electronics during power outages. Let us know if we can point you in the right direction for “smart” device. Cozy corner house! 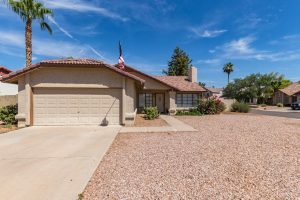 Open floor plan, tiled throughout main living areas, inside washer/dryer included, ceiling fans throughout. Enjoy your private backyard and covered patio. Large master bedroom with full bathroom and laminate wood floors. Garage shelving. Low maintenance desert landscape. Security system can transfer to buyer. WELCOME TO VILLA DELLE FONTANI, The Villa of Fountains. Exuding timeless elegance, this welcoming Gilbert home is like nothing else you’ll see today. Old world classic styling with a stately exterior! This magnificent home welcomes you upon entering the circular drive with a Mediterranean feel of warmth with the enticing fountain and custom wrought iron doors and Juliet balconies. The grand foyer opens to the dual staircase and all that this fabulous home has to offer. The formal living spaces combine designer details and function for a handsome ambiance. The enticing floorplan impresses with chef’s island kitchen, stately dining room, resplendent family room, Hollywood media room, an entertainer’s dream game room with professional media center, and a luxurious master suite. The resort yard features an Urn fountain pebble-tec pool, spa, secluded heart shaped grotto with matching custom imported Cantera heart shaped fire pit, sunken Mediterranean garden with waterfall, and expansive patios with misting system. Savor the sunsets and mountain views from the full balcony overlooking the lush gardens and pool. 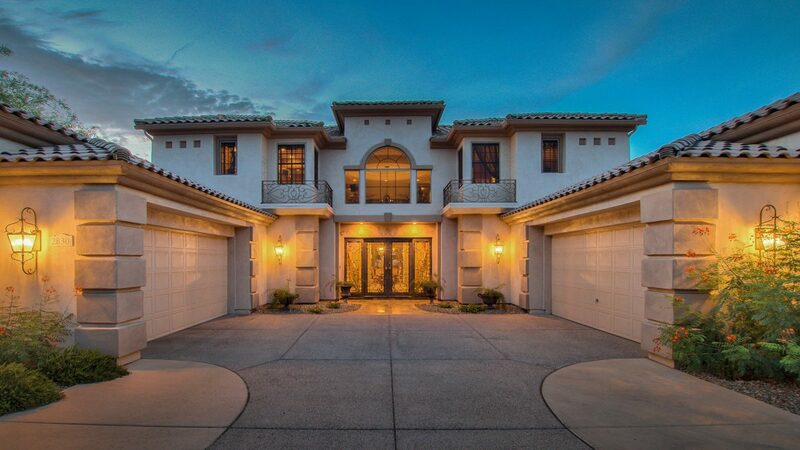 4 Bedrooms / 5 Bathrooms, 5,957 square feet of Living Space built by Edmunds Toll. 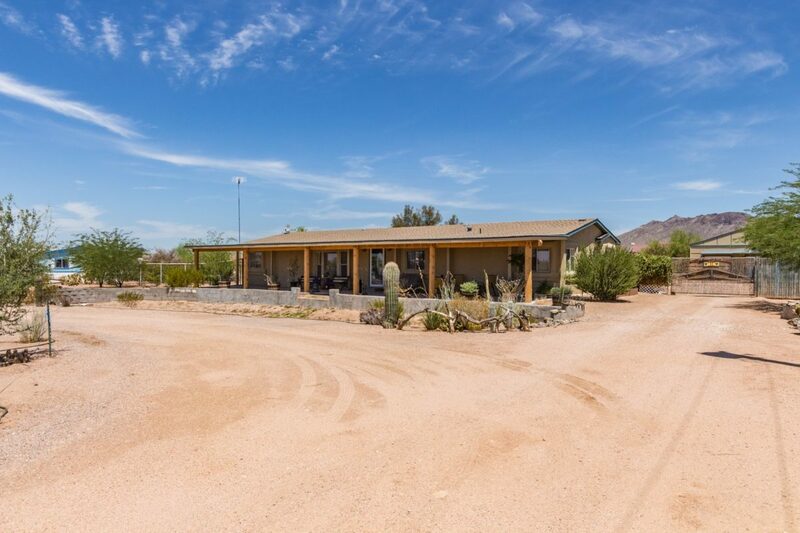 Sprawling .60 acre lot with preferred North/South exposure, Low-E Dual-Pane Windows, Control 4 home automation, Alder doors, custom tiered ceilings, central vac, plus a 7 channel Surround system that will convey. 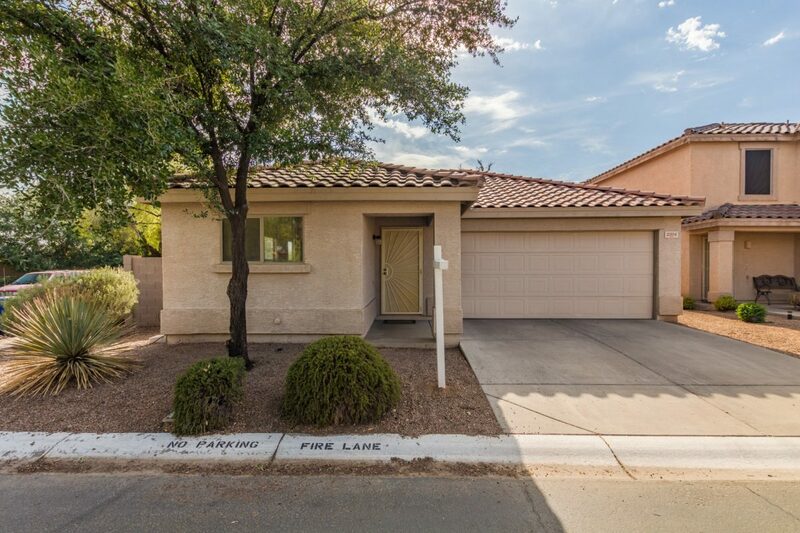 Private Master retreat features sitting room, stone fireplace, jetted soaking tub, and an oversized four headed shower with his/her walk in closets. Gourmet kitchen featuring Kohler cabinets, dual dishwashers, multiple ovens and wine fridges, warming tray, truly La Vita e Bella. Library is finished with dual Alder French doors, built in bookcase, and ample space for your home office desk space. Art Deco style home theater, designed after a Hollywood screening room, offers seating for 12 and a full bath. Game room features 4 TV’s and projection theater system, and is large enough for all your entertainment and home gym wants; the custom couch will convey. Romance guest suite is attached to a jack/jill bath, designed in old world style with enchanting Irish poem drapes. Second guest suite features full bath, and opens to the balcony. Extended garage is insulated, features, built in cabinets, water-softener and Kinetico charcoal filter system. Mortgage interest rate history is interesting and rates have the biggest impact on housing affordability. In 1968 (when I was just a little kid) interest rates were 8.5%, but dropped to 7% a year later. In October 1981, they hit a high of 18.63%. A $250,000, 30 year fixed mortgage with that interest rate had a monthly principal and interest payment of $3,896.46. As crazy as that sounds, people were still buying homes and considered them good investments. I’ve personally had experience with the fluctuation in interest rates: we missed the high in 1981, but the second home that Dan and I purchased during our relocation across the country was in Dallas in 1985. Our interest rate was 14.25% on an adjustable rate mortgage! Less than two years later, interest rates were still over 12%. Using the same example above, the monthly payment would be $2,571.53. We paid about that when we relocated to California in 1987; our mortgage payment was $2,575 for a house that we bought for $187,500. Believe it or not, we were excited to be paying only 2/3 of what we had to pay a few years earlier. We never found anyone whose mortgage we could assume, but if we had we would have been excited about it too. VA and FHA mortgages were very popular in certain price ranges and allowed anyone to assume the mortgage regardless of their credit. The person assuming the mortgage was happy getting a 15-20% bigger house for the same payment, while the person selling was free to qualify for another mortgage. We didn’t see interest rates change too much during the 90’s between when we bought our house in Ohio, and our first home in AZ. They were hovering between 8-9%, which doesn’t seem like a big change. On a mortgage payment though, it could range from $1,860-2,015 a month. During the housing bubble, interest rates had dropped to only 6.04% (a steal if you knew what they were before!) and for that $250,000 house your payment was only $1,505.31. By 2009 interest rates had fallen below 5%, and if you were lucky enough to nail the bottom November 2012 with 3.31%, your payment would have been $1,096.27/month. Rates have fluctuated slightly for the last few years now, but have increased each week for the last six weeks to 4.38%, which would be a payment of $1,240.12. Most of the experts are expecting them to be above 5% by the end of 2018. As one contemplates the interest rates and their history, a half point shift may seem huge today when in reality it’s pretty small. Young buyers probably have a different perspective though, most are payment-conscious and they’ve only been around long enough to see the $200/month increase. Still, the average interest rate over the past 47 years is a little over 8%. Like real estate, the mortgage markets are cyclical. 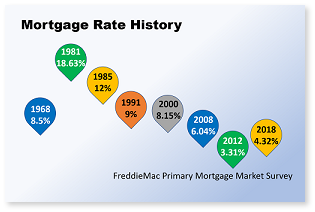 Rates have been historically low for a long period but will probably continue to rise. Based on the history, even 8% would be an excellent rate – until it reaches that point again, everything lower is a bargain. Having a mortgage and owning a home now is still better than trying to save $250,000 to pay cash while spending the same amount of money each month on rent (if not more!). If you’ve been thinking about buying a home in the near future, contact me today at 480-355-8645 or by email at Info@LocateArizonaHomes. I’d love to put you in touch with one of our great lender partners and share some of the things we did to make buying a home at a higher interest rate a great option!